Botox® and dermal fillers are very different types of injectables; however they complement each other quite nicely. The idea of combining Botox® and dermal fillers is quickly growing in popularity, as more people appreciate the exceptional results. Here, Dr. Jonathan Grant discusses what Botox® and dermal fillers can achieve on their own, and then explains how they can work in tandem to create a more youthful facial appearance. Botox® is a purified form of a neurotoxin that relaxes muscle activity wherever injected. This reduces the formation of certain wrinkles and lines. A few strategically placed Botox® injections can minimize the appearance of crow’s feet, frown lines and other pesky wrinkles around the eye and forehead area. Dermal fillers fill in wrinkles, folds and creases to help soften their appearance. Most of the popular dermal filler brands are formulated with hyaluronic acid, a naturally occurring substance that attracts and retains moisture. 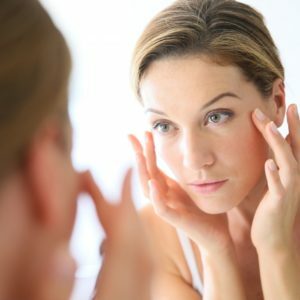 Dermal fillers are commonly used to fill creases and folds around the nose and mouth (i.e., the nasolabial folds) and to create volume in the cheeks. Dermal fillers can also be used to sculpt the cheekbones or fill out the lips. Combining Botox® and dermal fillers is beneficial because they treat different types of wrinkles. Botox® relaxes dynamic wrinkles, which are caused by repeated facial movements like squinting and frowning; dermal fillers smooth out static wrinkles, which are visible even when the face is at rest. Dermal fillers restore lost volume and help to sculpt youthful looking contours and definition. Combining Botox® and dermal fillers addresses multiple areas of the face simultaneously. Botox® is typically used around the eyes and forehead, whereas dermal fillers are generally used on the middle and lower areas of the face. Using Botox® and dermal fillers together can also prolong the results of treatment. The hyaluronic acid in many fillers tends to break down faster in areas of the face that are very animated and active (such as around the mouth). It can be helpful to first use Botox® to relax muscle movement, so the hyaluronic acid is then less likely to break down as quickly. Finally, both Botox® and dermal fillers are non-invasive and well-tolerated by patients. There is very little downtime and the results appear within a few days. Only experienced, skilled injectors should be trusted to use these products individually or together. To speak with Dr. Grant about your Botox® and dermal filler treatment options, and discuss whether combining them is in your best interests, please call or email our practice today.